Whether through accident or decay, there’s no doubt that losing teeth can have an emotional impact. When teeth are lost, the bone that held them in your jaw will shrink. 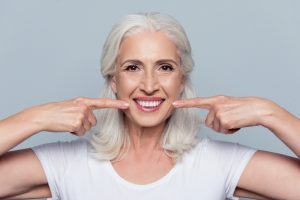 Placement of dental implants can preserve this bone, maintaining the shape and structure of the lips and cheeks and preventing the ageing, ‘caved in’ look of some older people with dentures. Using implant technology, we can enhance and rejuvenate the aesthetics of your smile. Don’t let missing teeth stop you from living life your way. If you’ve lost some of your teeth and you want to restore your smile and chewing function, you might want to consider a denture. Modern dentistry has come a long way and long gone are the blocky, too white false teeth that look just that, false. Dentures of today are very natural looking and far more comfortable than they used to be. Visit your dentist regularly to reduce the likelihood of losing teeth.